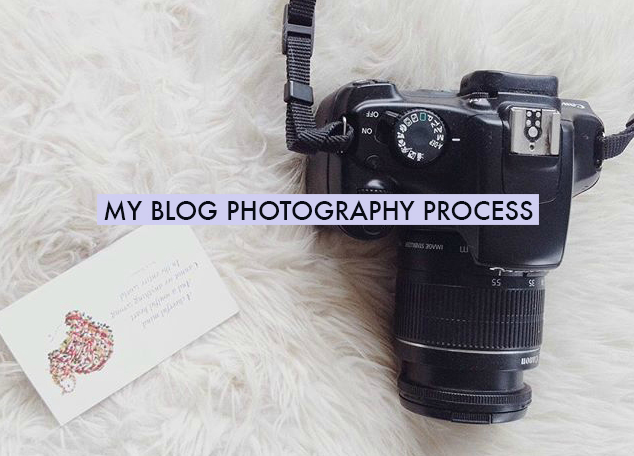 My Blog Photography Process | emma etc. Today I thought I would write a blog post on how I take, edit and upload my photos. I won't lie, photography is the aspect I enjoy most out of everything blogging entails. My favourite subject at school was photography and I'm just drawn to photos more than words on other people's blogs, in all honesty. That doesn't mean your writing shouldn't strive to be as best as it can be, but photographing things is fun and personally allows me to get the most creative. I'm sure you've all heard it before: a white background and natural light is good for blog photos. I never take photos when the sun is setting, if it's way too sunny and casting shadows on objects (however sometimes shadows are just inevitable - what a bloody nuisance), so the ideal light would be middle of the day and slightly overcast. Now you've got the time and situation sorted, you'll need to be thinking about how you want to arrange the objects you're photographing (or whatever you're doing). The backgrounds of my photos typically consist of the prettier side of my room, my bedding or my old art board (which has a white-enough cardboard back to make semi decent photos). I would recommend you buy a big piece of white paper, cardboard or something else (or patterned, for example, marble) if you feel like making your photos look that extra bit nicer. Of course, you do you. None of these tips apply if you don't want to do what I'm saying. As a general rule for taking photos, I like to think of having white space in the frame (less really is more), having similar colours in the shot and making sure things are focused and the ISO is good. I'm really not good at all the fancy ISO stuff, but generally I just try to adjust the ISO by trial and error, making sure the frame looks bright. If I want to include myself in the photo or hold something out in front of the camera (without actually taking the photo myself, ya know), I will prop my camera on somewhere like the windowsill or a pile of books (I know, professional) and set it to self timer where I will proceed to look ridiculous trying out different shots. Here's an example of me trying to focus my camera with my hand where I will then set it to manual focus so the focus range won't move. I use Adobe Bridge CS6 to look over all the photos I've taken and pick the ones I like best/will fit best into the post. I will go to 'Review Mode' in the 'View' tab and 5 star the photos I will then edit (shift + 5 to do this). Here is an example of the different shots I tried/my selection process - cutting it down to about three possible choices. The photos on the far right were the ones I decided on, later edited and which made it to the post. I will mention here that editing in Camera Raw from Bridge is quite a good idea especially to easily fix the white balance and do simple adjustments like contrast, exposure, etc. However, I generally edit in Adobe Photoshop CS6. Things I will do to adjust my photos: Curves, Levels, Exposure, Contrast, Colour Balance and Hue/Saturation. These are all easily found in the Image>Adjustments tab and I've been using them for ages so I can edit a photo in a couple minutes. My main aim with editing is to make the photos look bright, white and cropped nicely. 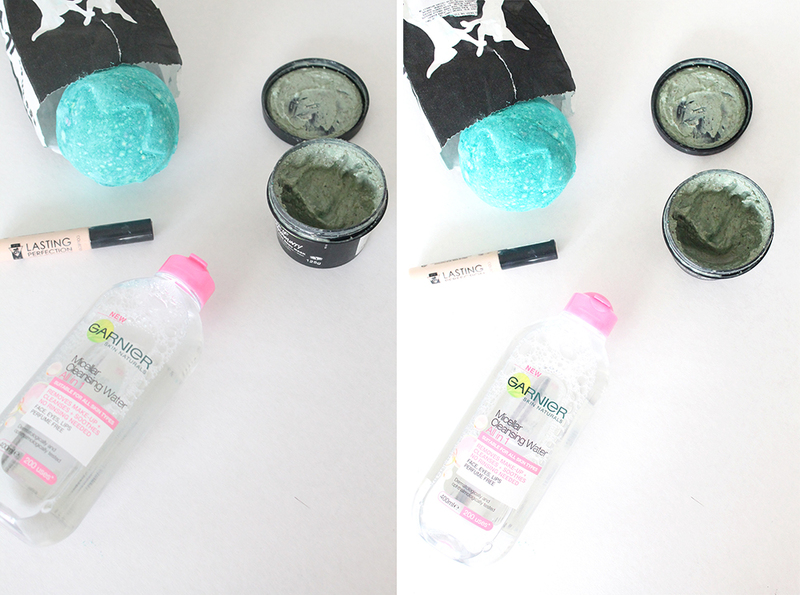 Brightening my photos makes them look somewhat more professional and allows for consistency across all my blog posts. 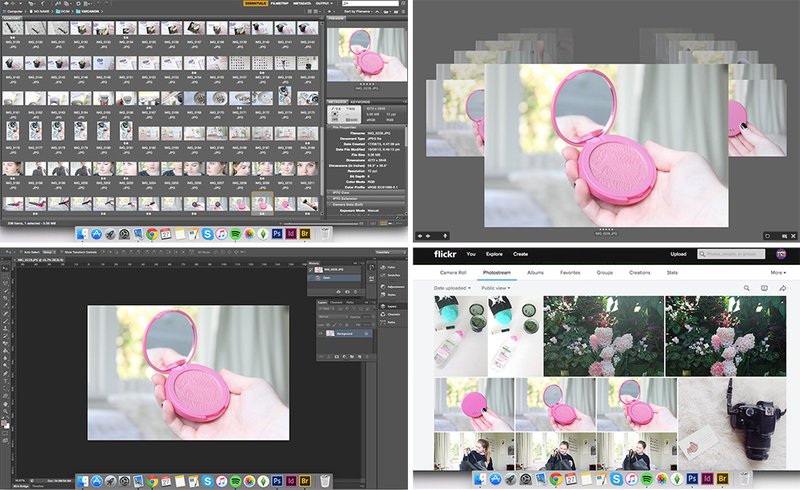 Of course not all of my photos are of beauty products against a white background, so in the case of editing an outfit post, for example, I will do different editing there. If I want to add text to my photos, I will use the same font I have in previous posts to maintain consistency and use text colour that will compliment the photo. Once I am satisfied with the photo, I will finally change the 'Image Size' to a width of 1000 (not for any particular reason - it's just a nice even number), and I don't want to be saving my images in the original size because that takes up too much room and takes too long to load on my blog. I do still want it to be a relatively high resolution to make sure the quality looks good on my blog. 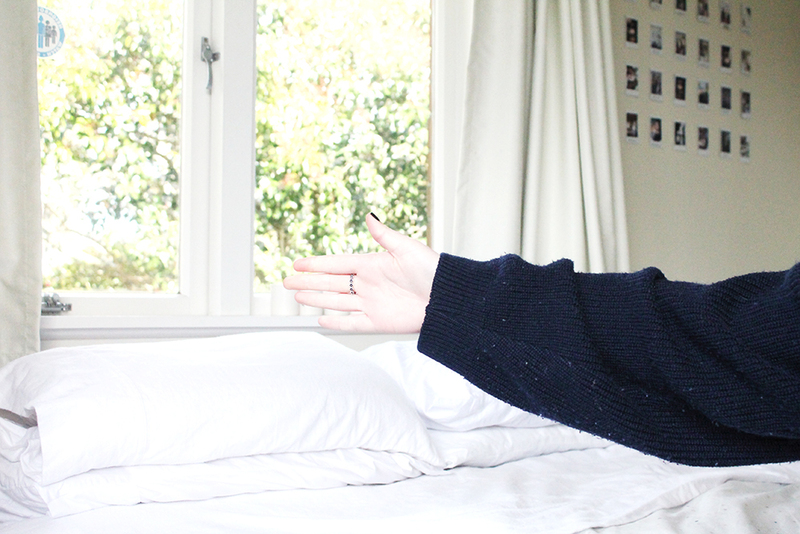 I upload my photos to Flickr instead of Blogger because Blogger just butchers the quality. I will upload my photos there and copy and paste the html over, removing the link to the actual Flickr post. I will choose where the photos go in the post so everything looks pretty nice and it makes sense. I will always put photos where it's relevant or helpful to the reader, I guess. Sometimes that extra photo or two isn't necessary, so if I find it's just not cutting it, I'll remove the odd photo before I hit publish. Sometimes you don't need three photos of essentially the same thing. Lately I have also been grouping photos together which offers something different and looks quite nice, I think. Always feel free to mix it up a bit and just experiment.